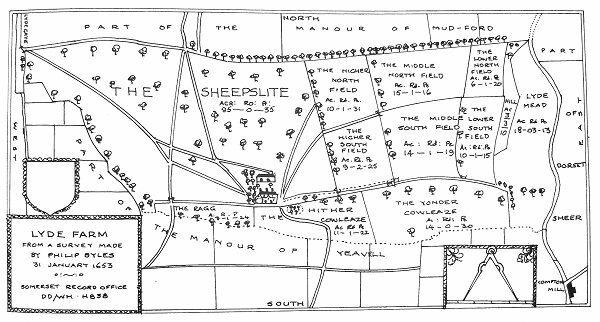 Originally called Lyde Mead on Philip Byles map of 1653, and called simply 'The Meadowe' in the accompanying survey, by Victorian times this large field in the extreme northeast corner of Yeovil was known as Great Mead (Parcel 893). 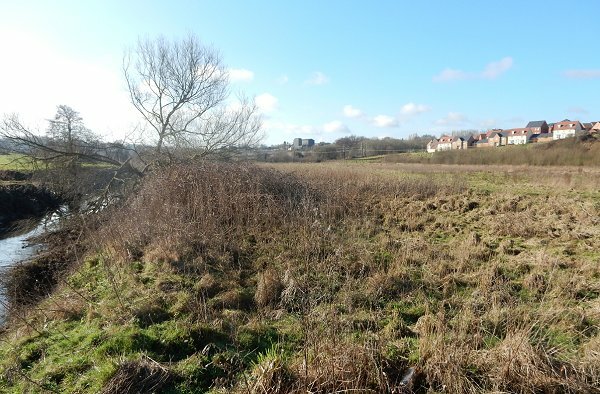 Slight boundary changes reduced its overall size from 18a 3r 13p in the 1653 survey to 13a 1r 13p in the 1846 Tithe Apportionment which also noted its use, unsurprisingly, as meadow - grassland not regularly grazed by livestock but allowed to grow unchecked in order to produce hay. It was bounded in the east by the River Yeo, to the south by the Lyde Brook and to the west by Linches (894) and Lower Cowleaze (907). The 1927 Ordnance Survey shows that there was a 600 yard rifle range running along the field alongside the steep sides of Linches to the west. 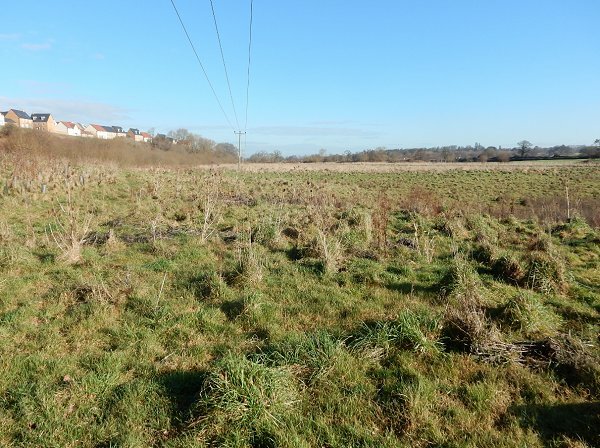 Today it remains one of the very few Yeovil fields to survive - hopefully its low elevation in the flood plain of the River Yeo will prevent it being built on by the ever-encroaching Wyndham Park. Philip Byles' map of Lyde Farm dated 31 January 1653. Spear Bed was later partitioned out of the southeast corner of 'Yonder Cowleaze' at bottom right. The Lyde area reproduced from the 1842 Tithe Map. Great Mead is at extreme right. Great Mead, looking north. Photographed in 2016. .... and looking south with the River Yeo at left. This photograph was taken from the very northeastern corner of the parish of Yeovil. Photographed in 2016.